Health concept of our franchise centres. 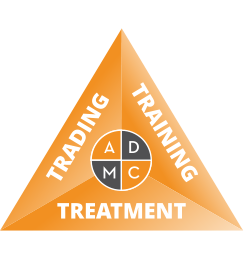 ADMC is a company specialised in setting up healthcare franchise centres focussed on comprehensive treatment in a hospitable and warm environment. ADMC is formed by a consortium of entrepreneurs around the world with a background in healthcare and hospitality. We offer franchise opportunities based upon our “Triple T” health concept: Trading, Training and Treatment. In a nutshell, this means we provide our business partners with the latest in products, technology and skills. At ADMC we have developed our Triple T health concept for various healthcare services. Your healthcare franchise can specialise in Children’s health, Adult care and Health tourism. Each franchise will be able to provide its patients with a comprehensive treatment plan, due to our multi disciplinary approach. Our healthcare franchise is multi-functional, multi-dimensional and multi-skilled. It is a combination of good medical care with an outstanding customer experience. At ADMC we serve evolving markets in our expanding global network of franchise operations. Become a partner in a brand that is rapidly making inroads into the developing field of rehabilitative health care. We offer the best in European expertise, tuned to the needs of each individual market to ensure your franchise concept is viable and consistently achieving its goals. For a royalty fee you benefit from our years of experience and you can rest assured that your franchise is under skilled management with your best interests at heart. • Dedication to aligning yourself with our vision. • Part of a reliable team in order to start your own franchise health concept. • Resourceful in terms of networking in order to find investors, patients, physiotherapists, etc. • A medical background is not necessary, experience in hospitality management would be an asset. • The educational background of the franchise owner is not important.